Have you ever thought about going on a writing retreat to a place that’s peaceful, distraction-free and you have all the time in the world to get your writing done? And, really, what writer wouldn’t? These retreats are held in beautiful locations, such as the Rocky Mountains or Napa Valley, for up to a week and are intended to be inspirational and tranquil. The focus is usually on spending time doing exploratory writing and working on creative projects, as well as sharing with the other writers and getting feedback. These retreats are definitely worth the experience if you have the time and money. Unfortunately, these writing retreats can be upwards of a thousand dollars (sometimes more! ), and aren’t always within your budget. Rather than spend the thousands of dollars to go far away from home to write, why not create your own writing retreat right at home? Gather all your writer friends for an afternoon of writing. Invite them to your house, make some delicious, energy-sustaining snacks and sit around together and write. Play some soft music or light some candles. Make the room as tranquil and inspiring as possible. Create a private retreat somewhere in your house. Find a place that you’ve never written before–the back porch, the closet under the stairs, the laundry room–and try writing there. You’ll be amazed how a change of location can spark your creativity. Make your home office a daily writing retreat. Set up your desk with things that inspire you, such as flowers, photos or quotes. Cover the desk with your favorite table cloth or buy some fabric from your local craft store. Buy a Betta fish or a plant to place on your desk. Hang beautiful photos/images or create a vision board on the walls surrounding the area. If you make your writing space as inviting and retreat-like as possible, you just may find yourself spending time there more often. By creating your own writing retreat–whether that be alone or with other writers–you’ll be able to kick-start your creativity and get some writing done. If you love to write, but are finding the time between your writing sessions keeps getting longer, it’s time for a reboot! Next Tuesday the doors open to my new virtual writing workshop with Author and Writing Coach, Suzanne Boothby. While we’re not whisking you away to a beautiful beach location (this time), we are packing this workshop with exercises and writing prompts to get you in the flow. Best of all, we’ll be writing together on every call, and you can ask us whatever questions you have. If you’re in need of a gentle nudge in the writing direction, I’d love for you to join myself and Suzanne for a virtual writing retreat. 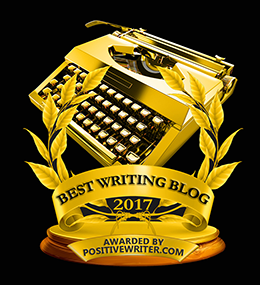 To be the first to know when the doors are officially open, be sure to sign up for my free email newsletter (you’ll also get a 7-day email workshop on how to un-stick your stuck words so you can start writing).